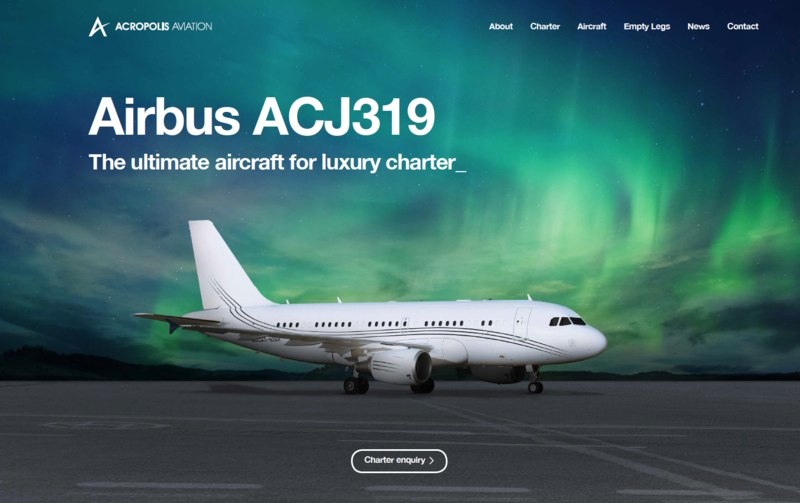 Long term Airbus ACJ319 Charter Marketing client Acropolis Aviation came to us recently for a digital makeover. A new mobile-first website has been developed which will provide a better ‘phone UX for prospective hirers of G-Noah the company’s unique Airbus ACJ319. When it comes to creating a point of difference in Airbus ACJ319 charter marketing it is key to represent not only the onboard experience, but the whole seamless package provided by the operator. In this case Acropolis Aviation based our of Farnborough Airport. The Airbus ACJ319 is the ultimate aircraft for private hire, with unrivalled cabin width and height and a range that puts the whole world within reach. As well as operating and charter of Airbus ACK G-Noah, Acropolis Aviation have been selected by Airbus to be the inaugural ACJ customer for the new Airbus 320 neo. To view our aerospace and aviation portfolio including more examples of Airbus ACJ charter marketing.